> What exactly does "Good Laboratory Practice" (GLP) involve? "Good Laboratory Practice", or GLP for short, refers to a quality assurance system that is applied during the pre-clinical stage of research and development. Its aim is to test active ingredients under specific environmental conditions and over a defined period of time. This blog article discusses GLP testing in laboratory settings, the correct procedures involved in performing it, and which BINDER products may be useful for achieving GLP standards. 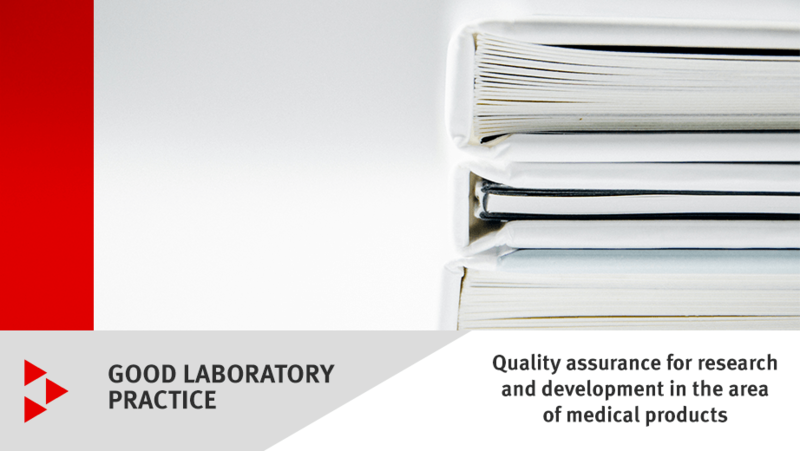 Definition of "Good Laboratory Practice"
"Good Laboratory Practice" has been in place since 1978, and regulates quality assurance for research and development in the area of medicinal products. It aims to prevent scandals from arising in the medicinal products industry. Since its global launch, the guidelines it contains have enjoyed international recognition. While some GLP measures are implemented on the basis of how large the companies and institutes using them are, there are certain standards that every laboratory area has to comply with. Approval for areas that are subject to GLP can only be issued once all the necessary tests have been performed and fully documented. For more information on this, see our whitepaper: "Good Laboratory Practice" – What is behind all this? testing process, and this means putting together a team made up of the testing manager, testing staff, and quality assurance staff. The testing manager is responsible for compliance with GLP principles and for the budget. The testing staff perform the first round of quality assurance procedures, as specified by the test plan. The quality assurance staff perform the second round of quality assurance procedures and issue final approval for the standard operating procedure. The testing manager accepts the testing assignment and draws up a test plan for it. Before the work can start, the quality assurance staff, testing manager, and party who commissioned the assignment must approve and sign the test plan. The test plan includes the test procedure, test methods, and frequency of execution. Its scope may also cover regular quality assurance inspections that monitor compliance with GLP principles. A trial run of the test procedure is performed and the raw data documented. Once the GLP test has then been performed, the testing manager writes a concluding report on the basis of the results. In turn, this report must be approved by the quality assurance staff. It is not possible for approval to be granted until all the documentation is complete, and has been documented and archived. If anything has not been documented, then the approval process automatically deems it as something that has not been performed. Any missing documentation may result in the product failing to receive approval, incurring significant financial loss and wasted time. How are GLP-related tests usually performed? GLP-related tests are usually performed in incubators and climate chambers, with the exact process dictated by the requirements of the active ingredient or finished medicinal product that is being developed. Applications for CO₂ incubators in "Good Laboratory Practice"
In-vitro tests require the test conditions to be documented: for example, the temperature, humidity, and CO₂ concentrations in CO₂ incubators. Additionally, standard operating procedures (SOPs) must be used for cleaning and decontaminating CO₂ incubators, calibrating parameters, defining maintenance intervals, and documenting maintenance work. When working with cells and tissue on the basis of GLP-compliant work processes, it is essential to establish the best possible environment for cultures. Applications for constant climate chambers in "Good Laboratory Practice"
Constant climate chambers, as well as photostability chambers for stability testing performed on medicinal products in line with ICH Q1A (R2) and ICH Q1B, also need to comply with the strict requirements of quality assurance systems. These requirements may include installation and operational qualification, calibration certificates (including certificates for light), and independent parameter recording. Stability studies provide a means of subjecting active ingredients to extensive testing. ICH guidelines dictate that the temperature range and humidity range have to remain constant – and do so over extended periods. In order for work areas to be ATEX-compliant, they must provide a safe means of drying combustible solvents. Cooling incubators should enable GLP-compliant testing of samples such as bacteria and fungi. Achieving this requires a highly precise method of temperature control. Which units meet the requirements of "Good Laboratory Practice"? In principle, any unit can be used as part of "Good Laboratory Practice". However, a unit is not considered to be genuinely GLP-compliant unless it provides a long-term logging option for all the relevant data. To provide comprehensive support for GLP, your unit needs to be able to operate reliably and have a dependable means of processing and archiving data. Qualification and validation: Through unit-specific qualification folders and/or IQ, OQ, or PQ, BINDER can help you cut down significantly on the amount of time and effort spent on unit qualification and validation. APT-COM™ software: The BINDER communication software APT-COM™ provides a DataControlSystem for controlling, programming, and recording measured data, and is available in 3 versions: BASIC, STANDARD, and GLP. Data Logger Kits: Data Logger Kits enable independent recording of temperature and humidity data in the unit. In most cases, this is achieved using software that fully documents all the test parameters in a way that is compliant with the relevant standards. This means that the software also meets the requirements of GLP/GMP and FDA21 CFR Part 11. The scenarios that need to be simulated depend on the application in question – and the application will in turn dictate which unit and unit specifications are right for the job.